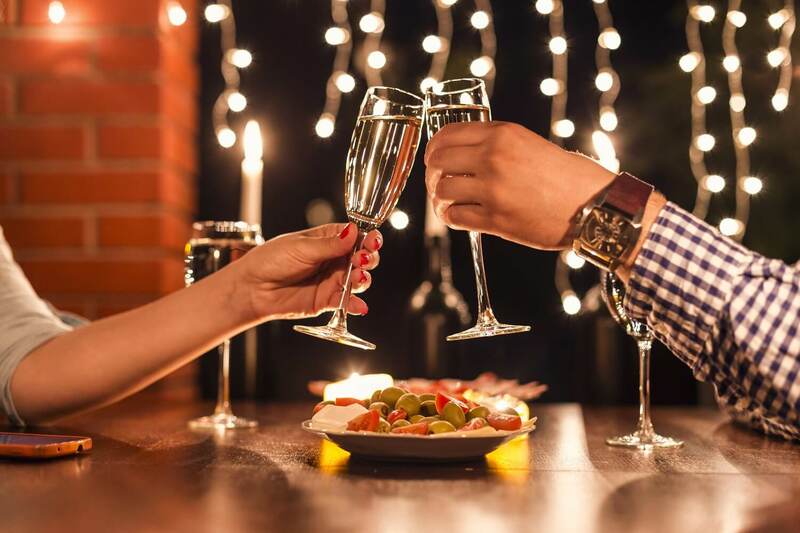 Love is in the air at Blair House Inn and we would like to offer you a recipe for a wonderful and romantic weekend that will ignite the love between two souls. The Texas Hill Country is a magical place that has wonders and amazement around every corner. Be sure to download our free Texas Hill Country Vacation Guide for all of our favorite things to do around our romantic inn. 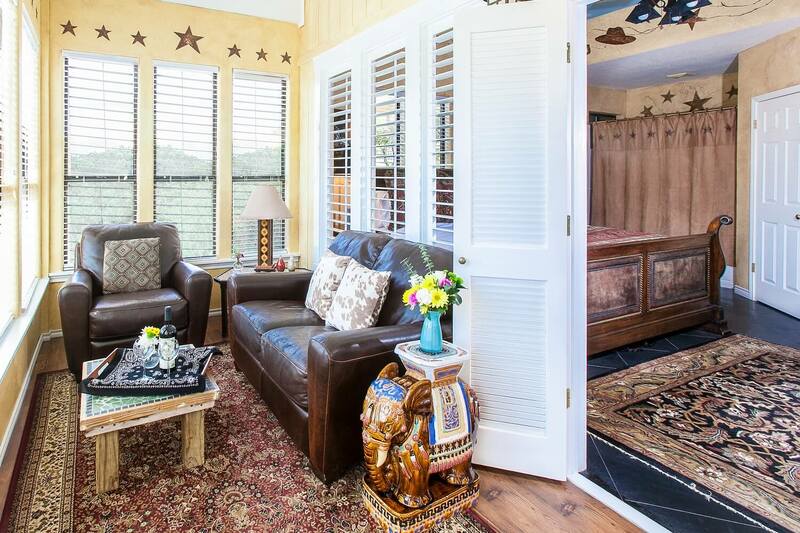 A Romantic Wimberley Bed & Breakfast is the perfect place to relax, unwind and enjoy the tranquility of the Texas Hill Country. At the Blair House Inn, imagine a day of serenity, whether you’re relaxing by our pool and hot tub or enjoying a glass of wine on your own private deck. 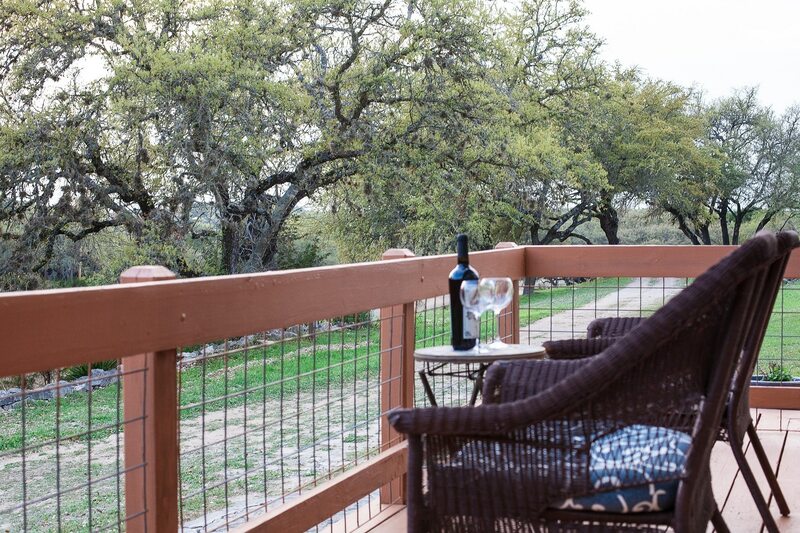 Plan your weekend with us today and enjoy all the Texas Hill Country and Wimberley area has to offer. The Texas Hill Country is one of the most romantic regions in the country. You are sure to find beautiful views with peace and quiet amid scenic landscapes. The Village of Wimberley is a charming town with unique art galleries, fine dining, and romance tucked around every corner. Search no more, the Texas Hill Country is the perfect Texas romantic getaway. You’re in love, you’re alone together, you have all weekend! Let Blair House Inn Bed and Breakfast take care of everything for you! We know how to make your romantic getaway really romantic! We will set the mood with a dozen roses, a chilled complimentary bottle of bubbly, and a bath pack. Next, have a platter of cheese and crackers, mixed nuts and fresh fruit delivered right to your guestroom. 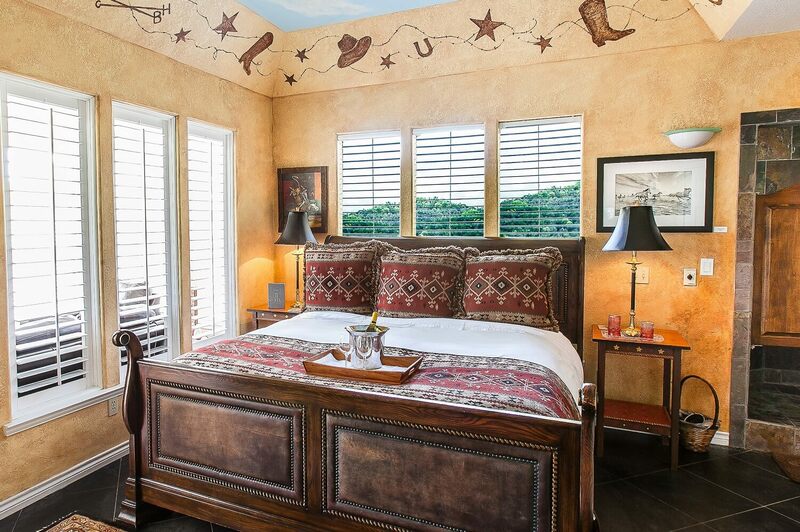 Experience a romantic getaway in this mini-suite with king sleigh bed, hand painted covered ceiling, European style bath with large whirlpool tub in a curtained alcove, separate walk-in tiled shower, sunroom with leather love seat and chair, and deck with view of pond and hills. Book Your Romantic Stay Today! You will start your blissful Texas romantic getaway at the Blair House Inn located in the picturesque Paradise Valley of Wimberley. Each room is unique and offers decor that will appeal to varying tastes. Take a walk and explore nature filled with many species of wildlife. When you awake in the morning with the Texas Hill Country birds singing, we will have created an exceptional, three-course breakfast that will start you on your day of exploration. Connect with your significant other during a relaxing couples massage given by our exceptional therapists. Then, take one of our gourmet Hill Country picnic baskets out for a romantic lunch with a view. Located in the Texas Wine Country you can awaken your palette with exceptional and award-winning wines. Enjoy a glass of wine on one of our scenic porches and decks before dressing to join in our dining room for a delicious Saturday gourmet dinner. Retire to your comfortable room and drift off into a peaceful slumber. Book Your Romantic Getaway Today!